Its economy is buoyant; its population is growing. Manchester is a sprawling city that’s only set for more expansion in the years to come, which means it presents exceptional opportunities for private property investors. If you’re looking for high capital growth in key up-and-coming locations, Surrenden Invest will deliver. We bring our investors exclusive, off market property investments in Manchester that generate high yields and excellent capital growth. Our end-to-end property management services in Manchester allow you to leave the everyday running of your investment portfolio in the hands of our experienced team. To view our latest selection of Manchester investment property, please click here. Our strong relationships with local developers and house builders ensure we’re able to source the newest off market property investments Manchester has to offer. Our investors benefit from exclusive opportunities that are simply not available elsewhere; they are guided into strong investments by our expert consultants, who offer transparent, accurate advice that enables investors to make well-informed decisions, regardless of their previous investment experience. Residential properties are in high demand in virtually all regions of the city as developers strive to meet the needs of a growing population. Surrenden Invest will find a residential investment property in Manchester to suit the needs of any international investor. Calling upon our extensive knowledge of the local market, we will source and manage residential property investments that are going to bring you high yields and widen your earning potential. 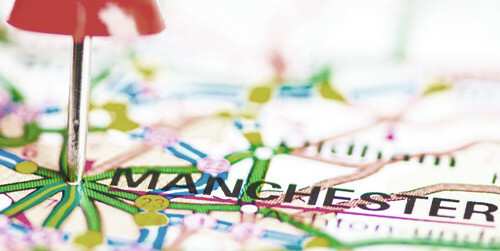 Speak to us about our latest property investments in Manchester. Call our management team today on 0203 3726 499.